Brendan O’Neill works with many colleges and universities around the world. The challenges faced by administrators of ArcGIS Online organizational accounts at these institutions are similar to those faced by administrators elsewhere: managing many users who come and go and whose roles need to be changed while keeping costs in check. O’Neill has developed answers to common questions and provides best practices for administering ArcGIS Online organizational accounts. How many credits does an Esri Story Map app use? How do I keep my users from spending all my credits? These are all common questions. Credits are the currency in ArcGIS Online. The storage and processing you do in ArcGIS Online takes place on servers. This storage and processing is not free, hence the need for credits, a mechanism to account for this activity. Many of the things you do in ArcGIS Online consume few or no credits. When you create an Esri Story Map app, for example, you are only charged for storage. Access to Esri’s configurable application templates is completely free. Unless you are working with very large amounts of data, the number of credits consumed by storage is quite small—less than 15 credits per year for 1 GB of file storage. Services, such as tile caching, geocoding, and analysis, consume more credits, but even these are quite reasonable when you are working with small datasets. If you are doing heavy processing with more data, do that processing in ArcGIS for Desktop using either ArcGIS Pro or ArcMap and publish your results in ArcGIS Online. Local processing is free. You will only consume credits for storage in the cloud. Promoting this workflow can drastically reduce credit consumption by your organization. Custom roles let you control user access to credit-consuming activities in ArcGIS Online. In addition to promoting credit reducing workflows, administrators have three main ways to control credit consumption in ArcGIS Online: creating custom roles, generating organizational statistics, and assigning credit quotas. With custom roles, you can control user access to credit-consuming activities in ArcGIS Online. 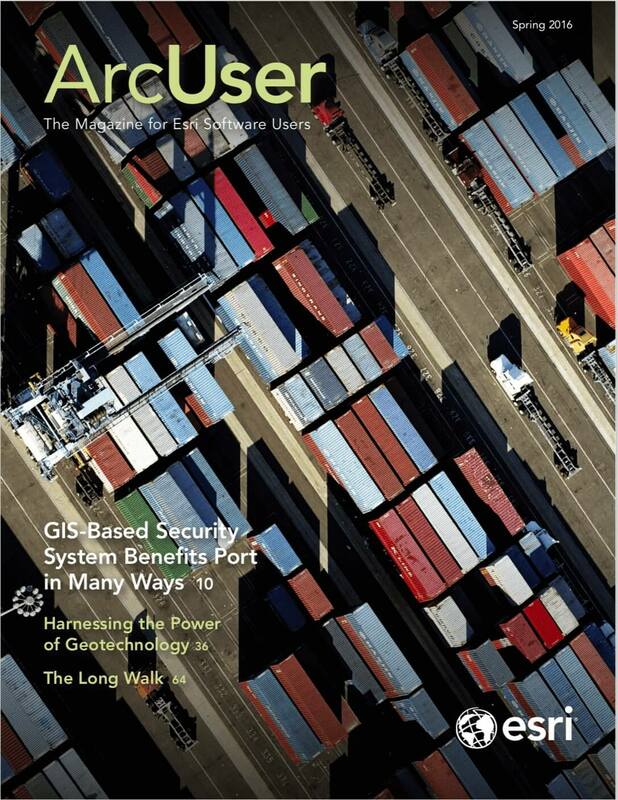 For example, generating tile services at multiple scales over a large geographic area involves a lot of processing and generates a large amount of data to be stored in ArcGIS Online. This will consume a large number of credits up front. The storage of several GBs of data will chip away at your credits over time. Consequently, you may want to consider assigning users a custom role that disables tile generating capabilities. Use the View Status dashboard to monitor the activity in your organization. You can filter credit consumption activity over time and export statistics so that you can work with it in a spreadsheet. This is useful for identifying any spikes in activity so that you can take action, either by reaching out to users or even disabling accounts. 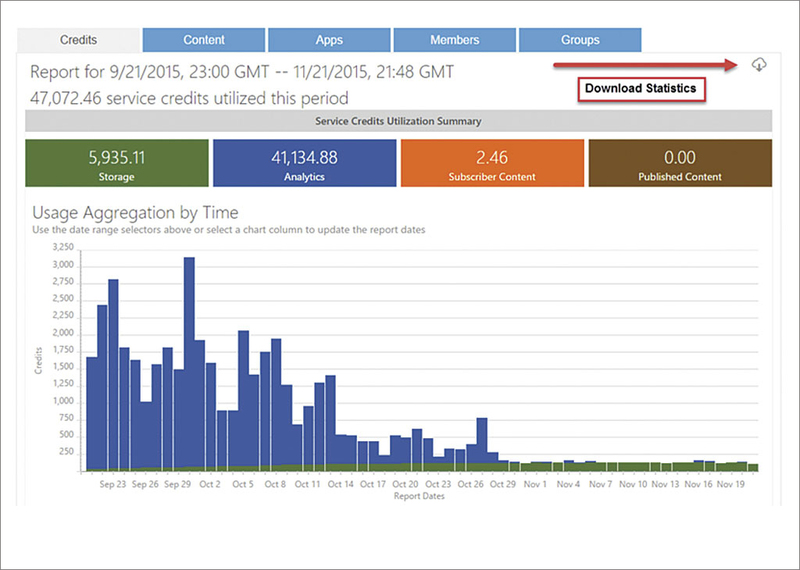 The View Status dashboard lets you monitor credit usage in your organization. A new administrative tool for assigning credit quotas is extremely helpful in keeping your organization’s credit usage in check. You can assign credit limits that apply specifically to tile generation, GeoEnrichment, geocoding, and analysis services. Credit quotas do not apply to item storage and limits can be adjusted at any time. Credit quotas can be assigned to groups, roles, or individual users. When a user reaches the predetermined credit limit, that user will still be able to access content but won’t be able to use the services previously listed until an administrator assigns a new quota of credits. The ability to assign credits was the most requested enhancement to ArcGIS Online. The ability to restrict the number of credits an individual or group of users can consume lets you extend access to more ArcGIS Online functionality without the risk of a user singlehandedly spending all your organization’s credits. The ability to allocate credit quotas to users is a major breakthrough for any ArcGIS Online administrator, regardless of the type of organization. The following FAQs explain how credit budgeting works. How can users spend their credits? Credits allocated to users are only spent using tile generation, GeoEnrichment, geocoding, and analysis services. Credits spent publishing features or storing items are not subtracted from individual credit limits. Those credits are subtracted from your organization’s total instead. Use the View Status dashboard to keep an eye out for users who have particularly large and costly items. You can control credit use with credit quotes, which assign a specific credit limit to a role and notify you when that limit has been reached. What happens when a user exceeds the credits allocated? An email will be sent to that user and the administrator notifying them that no more credits are available for that user. The user can access content but won’t be able to use tile generation, GeoEnrichment, geocoding, or analysis services until the administrator allocates more credits. How can I assign more credits to a user who has exceeded his allotment? Allocate more credits to the user using the workflow shown in the online video ArcGIS Online Budgeting and Allocation. Instead of searching for the user by group, you can search by name and assign more credits to a specific user who has exceeded the set limit. How many credits can I allocate to my users? When managing your credit budget, you can choose to give them access to the organization’s total allotment of remaining credits, or you can set a limit for each user of any value up to that figure. Allocations may be modified at any time. Note: The total of individual credit budgets may exceed your organization’s total number of available credits. For example, if I have an organization with five users and 1,000 credits, I can set individual budgets of 250 credits, which would total 1,250 credits. This is possible because individual and organization credit limits are managed independently. The budget prevents any one user from spending more than 250 credits, but ArcGIS Online treats all organizational credits as a pool. 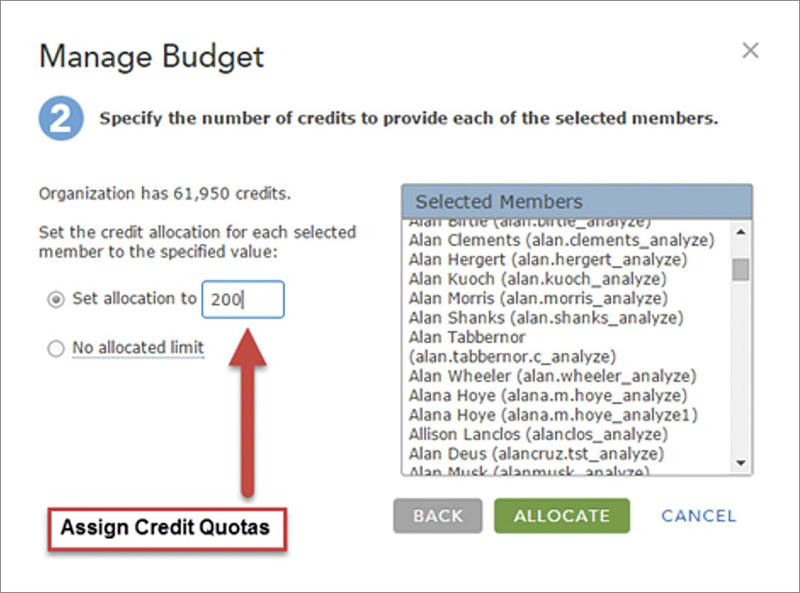 If the organization still has credits available and a user has not reached the assigned credit limit, more credits are available to the user. Using these tools and best practices will help you understand and manage credit use so that you can concentrate on what counts—empowering your users to solve spatial problems with amazing maps and applications.